Fewer than two in ten Mecklenburg voters are expected to participate in the election for mayor, city council and school board. 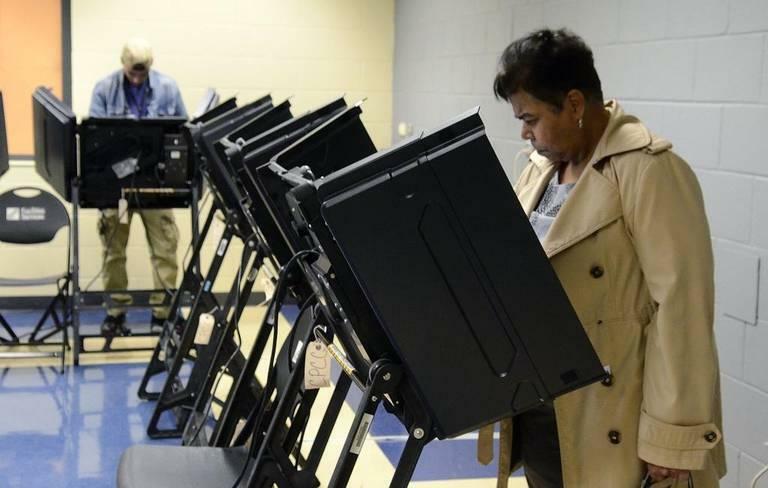 Only 17 percent of voters are forecast to turn out for Tuesday's election for Charlotte mayor. Mike Collins examines why so few people vote in elections that are likely to affect them the most. If recent history is any indication, the decision of picking Charlotte’s sixth mayor in as many years will fall to a handful of voters. Over the past decade, turnout for Charlotte’s mayoral elections has declined, from 24 percent when Pat McCrory was elected to his final term in 2007, to less than 15 percent two years ago. Turnout for this year’s primary was even smaller: less than eight percent. That’s despite a competitive Democratic primary and the intense national interest on Charlotte following House Bill 2 and the Keith Scott shooting. Compare that turnout to the 66 percent of Mecklenburg County voters who have consistently shown up in the last three presidential elections. To be sure, Charlotte isn’t alone in low turnout for municipal elections. A 2015 study of mayoral turnout in the country’s 30 largest cities ranked Charlotte 19th, ahead of New York City. The offices on these municipal ballots arguably have more direct impact on day-to-day lives, from deciding property taxes on city council to determining school attendance boundaries as a school board member. So why do so few people play a role in deciding these office-holders? What, if anything, can be done to boost turnout at the local level? Phil Keisling, director of Portland State University's Center for Public Service, co-author of "Who Votes for Mayor"